In a recent interview, Bollywood actress Kangana Ranaut once again talked at length about her affair with Hrithik Roshan and also demanded an apology from him. Just when we thought the ugly war between Kangana and Hrithik had come to an end, there came another controversy. In last few days, Kangana who was promoting her upcoming film Simran decided to re-open her battle with Hrithik. Kangana in a recent interview said that she was still waiting to see Hrithik Roshan face-to-face and speak to her but all has gone in vain. 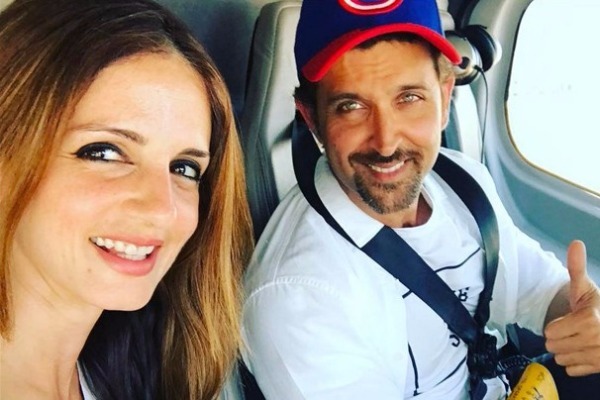 Well, ex-wife Sussanne Khan, who is now more like a best friend to Hrithik Roshan, has hit back at Kangana Ranaut with a bang on message on Instagram. Well, this is not the first time that Sussanne has taken a stand in support of her ex-husband. She had lashed out at Kangana earlier as well for putting wrong allegations on Hrithik Roshan. Previous : TV Actress Divyanka Tripathi’s Death Hoax News Goes Viral, Actress Reacts!